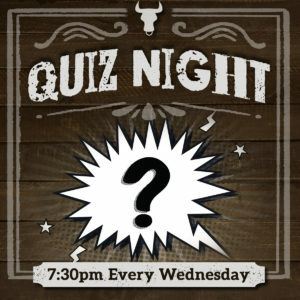 Quiz Night at Texan Wing Bar every Wednesday! Loads of prizes to be won! Quiz starts at 7:30 pm sharp.